The Hosquip Sentry 2000 is the best gas panel made in Australia. The Sentry 2000 has a highly visible display, short and open circuit detection on each input, is fully configurable at the factory, has a full test sequence started by pressing the test button, and is very reliable. The Sentry 2000 gas panel was designed and manufactured to the highest standards, and after service, can be expected to last for a minimum of 5 or 10 years. The Hosquip Sentry 2000 panel is installed in some of the largest and busiest public and private hospitals in Australia. 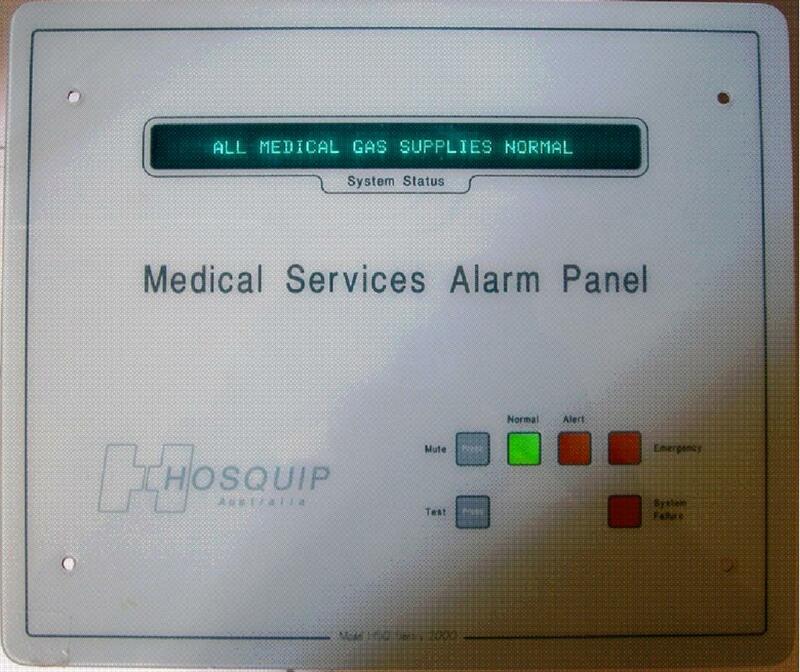 The Hosquip panel does have unique features. The internal data is backed up with a rechargeable battery, and after many years or service these batteries will degrade and need replacing. Also, the power input is very sensitive, and typically needs to be at least 8.8V to run the program. Since these panels draw 5 Watts of power (0.5A into 9V), the power input should not be much higher than 9V to reduce overheating on the heatsink. Print out the Hosquip alarm fields.pdf file to describe the alarm and title messages before sending any Hosquip panels for service. The correct messages can then be re-programmed back into the panel.